Druid Glen Golf Club is a relatively recent addition to the Irish golfing circuit which makes it quick rise to the elite of Irish golf clubs all the more remarkable. 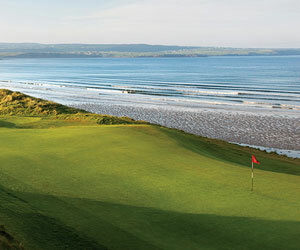 The course is an acknowledged masterpiece and has already hosted the Murphy's Irish Open on several occasions. Woodstock House dating from 1760 is now the clubhouse of Druids Glen and has been restored to its original splendour. High ceilings, classic columns and exquisitely ornate plaster work on the ceilings and cornices. The beautifully restored clubhouse facilities include Bar, Lounge, Dining Rooms, Spikegrill, Conference facility and Sun Terrace. Special facilities are reserved for members and their guests. Efficient, friendly staff ensure that all requirements are catered for. Situated in Garden of Ireland in Newtownmountkennedy., Co Wicklow south of Dublin. E-mail Druids Glen Golf Club at druids@indigo.ie. Druids Glen is a genuine championship parkland course. Testament to its quality is that it hosted in the Murphys Irish Open in 3 successive years since 1996. 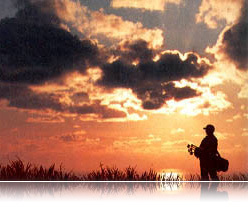 Designed by Tom Craddock and Pat Ruddy it is a demanding course which poses a challenge to tour and club golfers alike. Nice course all the holes bar the stroke index 1 10th (I think) and the last three holes were memorable. The 10th appears to be out of place on this course and stuck in because they had no room for another. I played the course last year and what a course. A superb test of golf. Unfortunately I could not play it from the back tees, but the course is still a wonderful test of every club in your bag. People a very friendly and there exists a real professional and warm spirit around the club and the course. All I can say is - try it !! I played Druids Glen course twice during the 1st week of November 2000 with 2 friends. One of them is handicap 2 golfer and played many different courses in Europe (including St.Andrews, and others in France) and North America (we are from Canada). He has competed in amateur level as well in Montreal, Canada. After the round he said the course is one of the best he has played. He enjoyed the course so much that we played again 3 days later. If I get a chance to go back to Ireland Druids Glen will be the course I will play again. Memorable holes : 4th (slight dog-leg right), 8th, 12th, 13th, 17th and 18th. We played Druids Glen the day following our mauling at the K-Club and by comparison this course is easy. Still lots of water and a completely different character to the immaculate K-club but v.v. pretty. Highlights are around the turn, holes 8 and 9 and 12 and 13, which cut through 'the Glen'. The 13th Stroke index 1, is possibly, the hardest most spectacular hole I've ever played. From an elevated tee, you drive onto a fairway that doglegs right around a cliff. At the base of the cliff there is a river. I hit my best drive of the weekend here, probably more than 300 yards and still had a 5 iron in my hand for the next shot, which is over a lake to a narrow green with 2 trees guarding each side. Finishing the hole with the same ball is an achievement. It's a lovely course and we will be returning but the clubhouse has one final treat in store. They served the best pint of Guinness we had all weekend (and we researched this thoroughly).